Nancy Churnin writes the most wonderful biographies. They are stories that show the heart and soul of the individual, stories that inspire readers to be their best self and stretch for their dreams. Books like Manjhi Moves a Mountain – about a man who literally moved a mountain one bucket at a time, to help the people of his village. Or the lovely story of William Hoy and how a deaf baseball player changed America’s favorite game. How do you choose the subjects for your books? The William Hoy Story, my first book, came about because I wanted to make the dream of my friend, Steve Sandy come true. Steve is deaf and his dream is that William Hoy, a great 19th century deaf baseball player, will be well-known and one day be honored in the National Baseball Hall of Fame. I promised to write the book before I knew how to write a children’s book! I thought I’d knock it out in an afternoon, only to very slowly comprehend that I needed to take classes, join critique groups, write, write, write and revise, revise, revise. 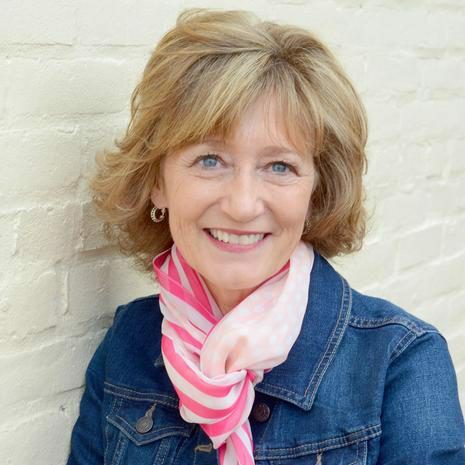 It took me 12 years to sell that first book, but I not only learned about how to write a picture book, but how much I loved writing picture books. I was determined to find more people who inspired me and would inspire kids, people who deserved a spotlight, but didn’t have one yet. After spending so many years making Hoy happen, I found myself particularly drawn to people who aren’t the biggest or strongest, but who have the heart to persevere against the odds. I found my next subject Manjhi in a newspaper article. The minute I learned about this man who spent 22 years chiseling a path through a 300-foot mountain so that the kids in his poor village could get to school and the sick could get to a doctor on the other side, I knew I had to write his story. Why do you like to write biographies? We all have moments of struggle and self-doubt when the path before us seems dark, forbidding — more than we can handle. But biographies of people who have forged past doubt to focus on and ultimately achieve a dream can be a light to us on our journey. Everyone’s journey is unique. But other people’s journeys can provide an example of what can be accomplished if you have a dream and you persevere. I’m not going to be a champion ballplayer like William Hoy or chisel a path through a 300-foot mountain like Manjhi, but if I believe in a story, I’m going to keep working on it until it gets where it needs to go. And, after all, you never fail until you give up. I think of the 12 years I spent on my first book with pride, because I didn’t give up even when there were some people in my life wondering and, no doubt, having fun at my expense, thinking is she really still working on that? Kids get that all the time, too — they’re told they’re too young, too little, too this, too that, too unrealistic to accomplish something that’s never been done. I hope these people I write about remind them that they can accomplish anything if they don’t give up, that they have the power to set goals that will make the world a better place. And I hope my 12-year journey to my first book reminds them that anything worth doing is worth doing until you get where you want to go. I grew up in the Bronx in New York City. What was special about your childhood? I grew up in a world of books. When my parents married, they were very poor. The first thing they bought was a book called Tomorrow Will Be Better. They kept adding to that library so that by the time I was born we had a whole room of floor to ceiling books that we called the library. My mother read to me every night, Mondays through Saturdays — my first favorite book was The Wonderful Wizard of Oz. She read me an extra chapter on Saturdays so she could take off Sundays. I also loved going to the Kingsbridge Heights Library where the librarians would recommend amazing books. I still remember one title I asked the librarian to repeat a couple of times because it sounded so bizarre. I am glad I trusted that librarian because that book was The Lion, The Witch and the Wardrobe and it became one of my favorites! Another thing special about my childhood was that my grandparents, Sam and Mary Farber, had a bungalow colony in the Catskills called Mountain View Cottages. For a city girl growing up in a concrete Bronx grayer than Frank L. Baum described Dorothy’s Kansas, spending summers walking through woods, staring up at stars, running and rolling down hills, swimming, roasting marshmallows at campfires, riding horses — it was heaven. When I need to go to my happy place in my head, that’s where I often go. What are some of the jobs you have had? I have spent most of my life as a journalist, working as a theater critic for the Los Angeles Times San Diego Edition and most recently for The Dallas Morning News. Reviewing and writing about theater has been my favorite thing to do outside of writing books. I left The Dallas Morning News in January 2019 and am now a full-time children’s book author. My hobby when I was writing for newspapers was writing children’s books. And now that I do that full-time, I am happy to do that all the time! I still enjoy theater and singing. I love to walk my dog named Dog and hang out with my family. What advice would you give to student writers? Don’t waste time thinking about what other people would like you to write. Reach deep and think about what stories you want to tell. Read and re-read stories that you like to see how they’re put together. But remember, each new story is its own challenge and journey. There are some structural things you can learn that will help you on your way. But ultimately everything you write will be as unique as you are. Don’t try to be like anyone else. Be the best version of yourself. And don’t get discouraged if your first draft doesn’t resemble the vision you have in your head. There is an expression called the crummy first draft. No matter how many books authors write, no matter how experienced they seem, we all have to write that crummy first draft that we revise and revise and revise until it starts to move and breathe and feel like the original idea we had when we started. Find a support group of fellow writers that truly want you to succeed and that you truly want to help succeed. Don’t beat yourself up. Be kind to yourself. Be patient. Things take as long as they take and the length of time they take is different for each of us. The people who succeed are the ones who don’t give up. What would you like students to know about you? I am happy that I have been given the opportunity and support to write these books, to share them with you, to bring you a little light in the form of these stories and in the time we spend together here on this wonderful blog. I believe, with all my heart, that we are here to do what we can to heal the world, to do our best to make it better and to pass on whatever tools we can to the next generation to move our progress even further along the field. 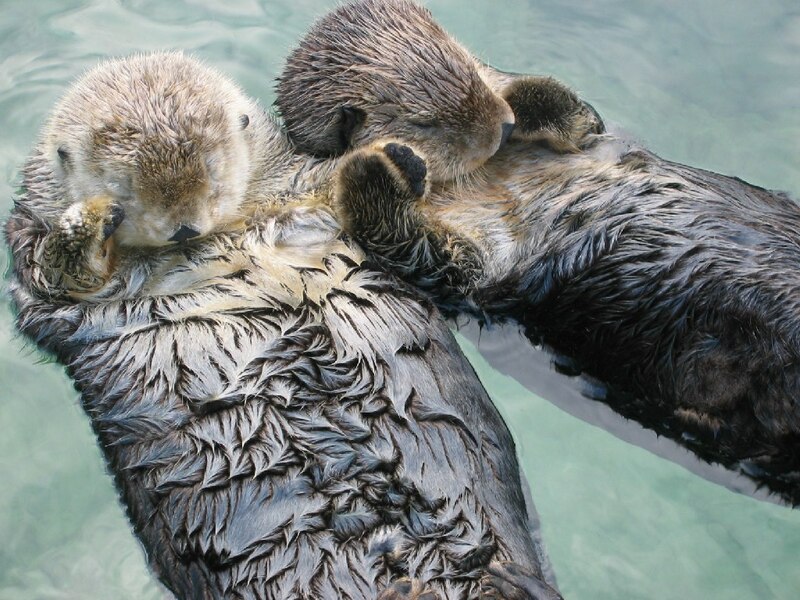 What I want you to know about me is how much I believe in you. You are why I do what I do. I am thankful for the opportunity to try to be helpful to you in your journeys. Two fantastic books have been recently released that teach children about deep sea exploration and teachers should be jumping with joy. These books are fun to read, full of great scientific facts, and the perfect pair to use for a compare and contrast lesson. OTIS AND WILL DISCOVER THE DEEP by Barb Rosenstock is a wonderful book that tells about the two men crazy enough to think they could explore the deep ocean in a machine of their own design. Amazingly they were successful and in 1930 became the first deep sea explorers in their ship the Bathysphere. FLYING DEEP by Michelle Cusolito tells about the modern version of the bathysphere – Alvin the deep-sea submersible. This high-tech machine can dive two miles to collect samples from the seafloor and allow scientists to conduct research on the deepest parts of the ocean. The author uses lovely lyrical language to describe the mysteries of the deep plus she gives lots of information about her research for the book. Hope you like the lesson. I KNOW you’ll love the books!! Fish Farts. Just the title alone will have your students begging to read this book. And you will be happy to oblige because this book is a great example of how to capture the imagination and teach information at the same time. 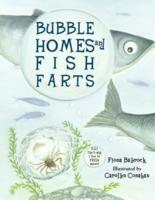 Author Fiona Bayrock writes with lively language to explain how fish use bubbles or F.aR.T.s to communicate. 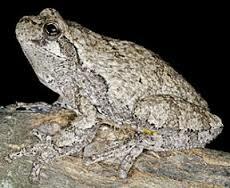 She also gives fascinating information on how animals use bubbles to keep warm, to build homes, and for defense. It makes for a great read aloud/discussion book and can also be used with a science unit on bubbles or animals. Grab this book from your library and try out the lesson plan below. I have coordinated it with common core state standards for grades 3-4. Ask the children if they have ever considered whether or not fish fart? (This will elicit giggles and comments, but it will also grab the students’ attention) Tell them that scientists study all sorts of strange and interesting topics including fish farts. Today they will be learning some scientific facts about animals by reading the informational text, Bubble Homes and Fish Farts by Fiona Bayrock. Ask the students to use pencil and paper to write down (take notes on) scientific facts that they learn while you read the book. Read the book – pausing for questions and discussion after each animal. After you have read the book, lead the children in discussing the different facts they learned. Ask them to use their notes to help them remember the ways animals used bubbles. Make a class list on the whiteboard. Discuss how the author learned all this information. Turn to the back of the book and show the students the author’s information about her research. Ask the students if this book gives them ideas for information they would like to research. What animals in the book would they like to learn more about? Would they like to learn about other ways animals trap their food or build homes? Make a list of research topics. Divide the class into research teams of two or three “research scientists.” Tell them that this week they will be using books and computers to answer science questions. List a few science questions for the students to research. Have each team pick one question to research and write about. Are there other strange ways animals hunt? How do other animals build homes? What are some unique ways animals defend themselves? 1. Hold up the Book Bubble Homes and Fish Farts and ask the students to review what they read yesterday. Remind them they will be conducting research today to find the answers to their animal questions. 2. Discuss how to read for information and how to take notes on facts. Help students select books and find designated websites. During the last ten minutes of the class period have the teams of scientists meet together to discuss their findings. Give each group the opportunity to tell their most interesting fact. Then tell the students that they will be writing their own report and making the illustrations in the next class periods. Make sure they save their research! Allow the students time to write and correct their papers. This may take two sessions depending on the abilities of the class. When students have completed their project provide time for them to present their findings to the other student scientists. Science, Math, and ELA in one lesson! arts, math, and science plus it provides a great launch point for a fun research project. 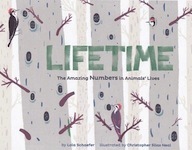 I’m talking about – Lifetime – the Amazing Numbers in Animal Lives by Lola M. Schaefer. In this book children learn about math in the animal world. For example a mother red Kangaroo will birth 50 joeys in one lifetime, a caribou will grow and shed 10 sets of antlers, and a cross spider only lays one egg during its whole life. The author includes wonderful back matter that gives more detail about the animals including how she calculated the numbers in the book. Objective: Students will understand that numbers and math are a part of everyday life and research. Hold up the book and read the title to the children. Lifetime – the Amazing Numbers in Animal Lives. Ask how could numbers be important to animals? What do they think this book will be about? Is it going to be a fiction or a nonfiction book? Read the book aloud to your whole class and then engage them in a discussion about the text. How did the author find out about these numbers? Did the author need to do research? What math skills did the author use? Divide class into small groups of three to four students. Give each group graph paper and markers. Demonstrate on the board how to graph numbers. Have the students work together to make a graph of the animal numbers used in the book. You can stop them before they have to graph 1000 baby seahorses, but do discuss how you might be able to show that number. Extension – check out animal books from the library and have the students research different numbers such as the number of teeth, eggs, or young. Turn this research into informational graphs to be displayed in the classroom and write a paragraph to explain their research. The debate goes on. Fans of common core promise it will bring education nirvana. Opponents predict it will propel us back into the dark ages. I suspect the truth is somewhere in the middle. But while states and legislators argue the merits of national standards teachers are trying to figure out what they are supposed to do. I think there are some components of the program that make a great deal of sense and can be implemented whether or not your state joins the Common Core program. 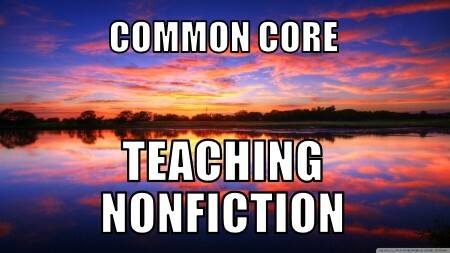 One goal of the common core is to increase the use of nonfiction in the classroom, especially at the elementary level. Another is to increase the use of fact and research based writing. These two goals go hand-in-hand and I think they are practical objectives. The bulk of reading that is necessary for success in the work place is nonfiction reading. I believe we should introduce children to fact based learning as soon as possible. I love a good novel as much as anyone. I am a voracious reader and I devour fiction books like they were dark chocolate. But as much as I love fiction I realize that reading and understanding nonfiction is an essential work-life skill. Carpenters must know how to read plans and instructions. Software developers, scientists, bankers and teachers all need to know how to read an interpret research and new articles. Truck drivers, postal workers, cooks and servers, all have to be able to read instructions, and interpret directions correctly. Reading, interpreting and understanding nonfiction is critical to all forms of work and for the ongoing progress of our nation. Teaching students how to use and interpret nonfiction text is a part of the common core that makes sense to me for very practical reasons. In the next few weeks I hope to provide you with reviews for some of the great children’s nonfiction that is available and ideas on how to use it in your classroom. And hopefully when you see the amazing books that are available for your students you will see just how fun teaching nonfiction can be!